In the spirit of the New Year's predictions of new business trends, here's a quick rundown of what I consider to be some top trends to watch in 2011. While they may not appear to be related on the surface, look deeper and you'll see some very interesting links and themes in the these key trends. But, before you read on, I highly recommend watching Hans Rosling's visualization of 200 years of data in 4 minutes. 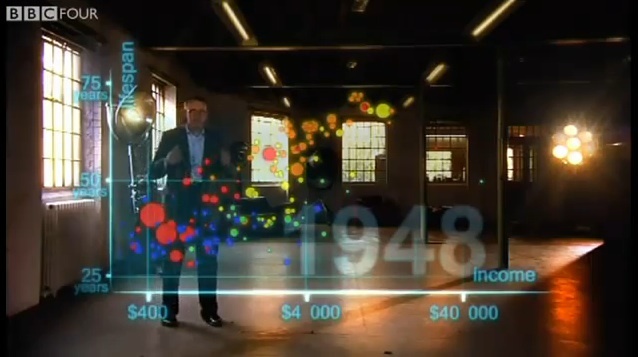 Data visualization will be the emerging story of business intelligence in 2011 and the video itself is amazing. Tablets will become common in business . On the consumer technology side, it's easy to see how Gartner's forecast of 55M tablets to be sold in 2011 will come true. In hospitals, in the sales force, business-driven tablets are disrupting the laptop landscape and hopefully RIM should be competitive in the Boardroom. Cloud computing goes mainstream. Expect cloud computing to become more prominent. Apple will be at the party in 2011 with its massive new data centre likely powering iTunes in the cloud. Google even launched ebooks in the cloud. Mobile Commerce. PayPal and Facebook (soon to surpass 600 million users) will be big players in micropayments in 2011. Location-aware commerce will continue building momentum. 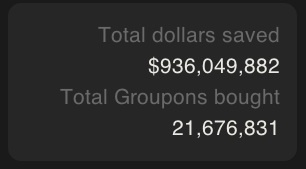 Even Groupon (which is reportedly raising $1B after turning down Google's offer of $6B) is offering mobile coupon redemption. 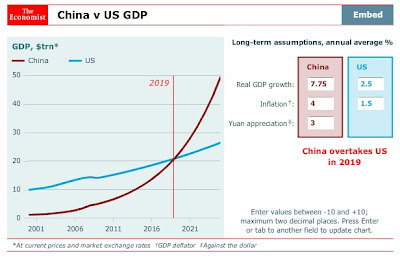 China will continue to dominate. China will continue its march to dominate automotive manufacturing. 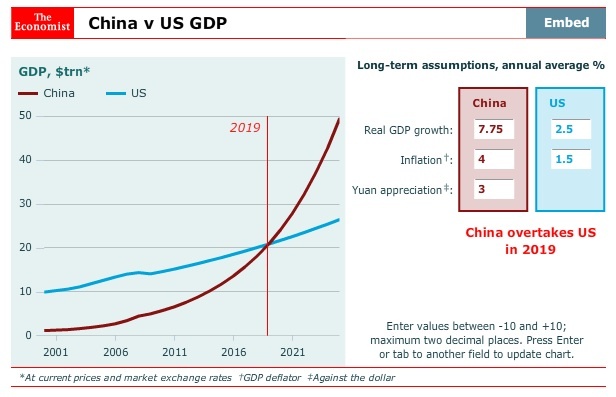 The United States trade deficit with China ($28B in August 2010) is increasing and the Economist is forecasting 2019 as the year that China overtakes America as the largest global economy. Debt crises continue to deliver uncertainty. Consumer debt in Canada and the United States will continue to be a concern. Eurozone countries like Ireland, Portugal, Greece and Spain will continue to struggle with their own debt loads, although China looks to provide $6B of debt help (although ironically Apple's iPhone contributed $1.9B in a U.S.-China trade deficit in 2010. And finally, in the business intelligence arena... Jeopardy! You might be wondering why a game show would signal a major trend for business. The reason - this year, I'm excited about IBM's Watson project. I've always been fascinated by the power of asking the right questions to improve business performance and forecasting a industry's vital signs for business plannning and budgeting. In February 2011, Watson will take on the humans in a round of Jeopardy! IBM demonstrated previously that it could build a machine to beat grandmasters in chess. The fact is IBM is now building the next generation question answering intelligence. 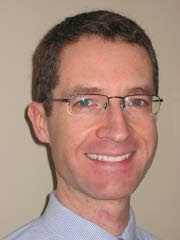 "The DeepQA project at IBM shapes a grand challenge in Computer Science that aims to illustrate how the wide and growing accessibility of natural language content and the integration and advancement of Natural Language Processing, Information Retrieval, Machine Learning, Knowledge Representation and Reasoning — along with massively parallel computation — can drive open-domain automatic Question Answering technology to a point where it clearly and consistently rivals the best human performance." IBM has hinted about the future DeepQA doctor. At some point, Watson will be able to diagnose complex medical conditions. Clearly we won't see all this in 2011, but the Jeopardy! match is just the beginning. Although I'm focused on advancing real world business intelligence and performance management in the banking sector with current leading edge tools such as Oracle Business Intelligence and IBM's Cognos, I can imagine one day soon feeding DeepQA a year's worth of mortgage banking data and asking Watson to create realistic forecasts of future financial performance. Realistically, this will be 3-5 years but who knows....maybe this will make be in a future version of IBM's Cognos. Frankly, most of these "predictions" are pretty safe bets because the leading indicators are already out there. Globalization, mobile commerce, and 'big data' are the key themes of this century and they'll continue to increase in importance. These trends impact literally every industry business model today, from banking to manufacturing. If you'd like to explore these ideas further with me and and the next wave of business intelligence, please contact me directly. I look forward to connecting with you!